On Wednesday 01 March 2017, the Armacost Psychological Society in collaboration with University Counseling Center arranged a motivational talk based on building self confidence, public speaking and presentational skills so that everyone can ‘Speak up without Freaking Out’. 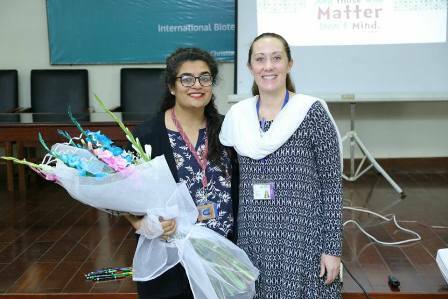 The talk was conducted by Ms Elishba Karis Abel, who is an educationist at TNS Beaconhouse. 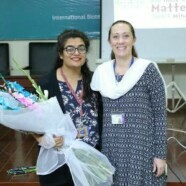 Ms Elishba provided a highly motivating talk on polishing and developing communication skills. 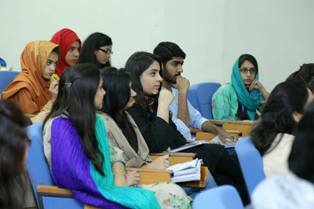 The discussion involved an active participation of the audience through question and answers, the audience consisting majorly of students pursuing Psychology as a major. The talk was indeed highly interactive, enlightening and was enjoyed by everyone considering the dire need of motivation that the talk was intended to provide.